Heat the extra virgin coconut oil and chili oil in a wok or skillet over medium-high heat until the oil shimmers with heat. Cook and stir the snap peas until they turn bright green and start to become tender, about 4 minutes. Sprinkle with salt and black pepper as they cook. 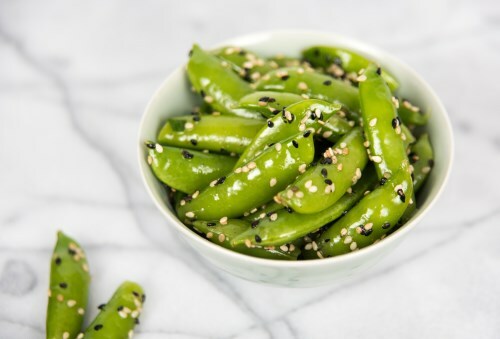 Sprinkle peas with sesame seeds, and stir a few times to mix before serving.